Perfect for that bubbly, joyous person you adore. 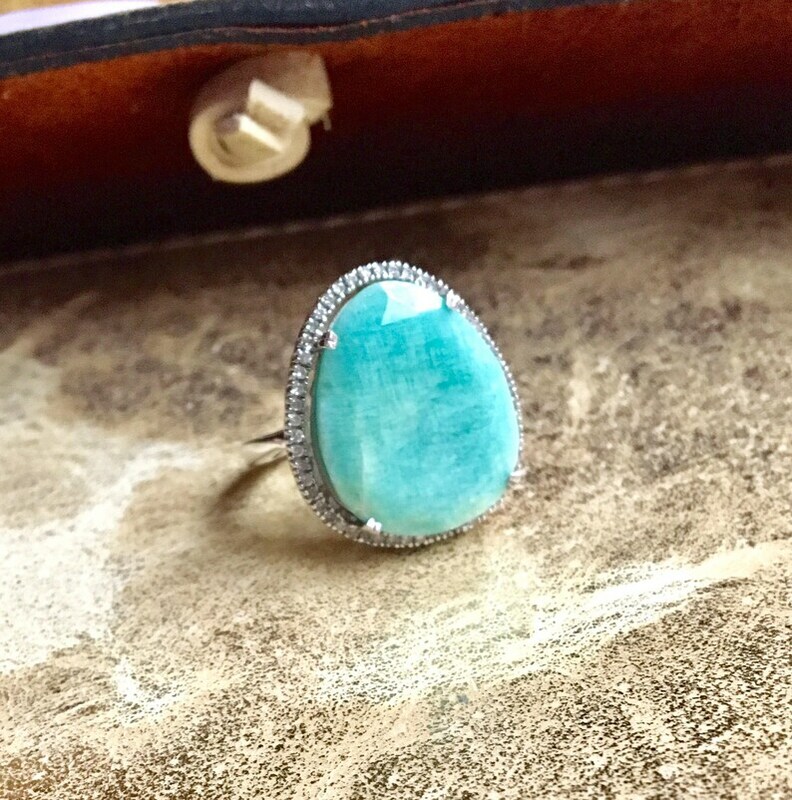 A 15 carat pale blue amazonite is framed by a delicate diamond halo made just for this unique shaped stone. Totally a piece of heaven! Sterling silver.